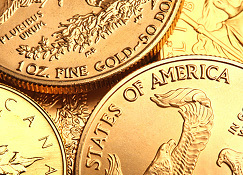 Gold prices will surpass $7,000 an ounce in an inevitable global currency reset forecast author of the new book ‘Currency Wars: The Making of the Next Global Crisis’ and MD of Tangent Capital, said Jim Richards speaking at the Agora Financial Investment Symposium in Vancouver yesterday. Mr. Rickards recalled how the global currency system has been reset three times in the past century: 1914, 1939 and 1971. He noted that the dollar standard reigned from 1982 under Paul Volcker’s Fed to 2010. ‘Now we are all at sea. Nobody knows which currency to follow,’ he said. ‘Some economists argue that we should have multiple reserve currencies but that is just too unstable’. His forecast is that the IMF will issue a new reserve currency know as a Special Depository Receipt which it has actually previously done in crisis situations in 1972, 1983 and 2009. In order to reset the monetary system this time Mr. Rickards argues that the gold reserves of the global central banks will be absolutely essential with 20-40 per cent gold backing sufficient. That will mean a revaluing of bullion to around $7,000 an ounce or otherwise there will not be enough of it to do the job. Central banks will be in a position where they have to do this rather than constantly suppress the gold price to create an illusion of low inflation, he contends. We have been seeing such institutions take strict measures to withstand the financial pressure. This in a way affects many individual investors. They struggle to understand and take good decisions. We have good software solutions for such challenges in the cryptocurrency world. These are auto trading robots. Continue to read about this in their official websites. Where Mr. Rickards and the growing number of savants who argue in favor of a reset are frustrating is that they can provide no timeline. Does this happen this autumn? Or in five years? At what point do the remaining holders of US treasuries decide that they want out? That’s the point when $70 trillion in derivatives will crush the banking system and the whole financial system will have to be reset. ArabianMoney investment newsletters will get another version of how this might pan out in our next issue that features a 2,000 word article on the thoughts of gold guru Jim Sinclair about gold and the next global currency (subscribe here).